Hong Kong has become one of the most popular destinations for relocation due to the economic viability and business opportunities. It is also one of the most expensive cities to live in as an expat. That aside, Hong Kong is still thriving and it’s the biggest cosmopolitan city in its region. The location in Southeast China on the Pearl River Delta makes Hong Kong a strategic point for all types of shipping and international trade into the South. It’s actually the world’s 3rd busiest port in terms of total containers serviced. The different sized containers can carry anything from commercial goods to vehicles. Since 1997, Hong Kong has been recognized as a special administrative region of the People’s Republic of China. This is a major reason for its autonomy and is particularly important for those shipping goods internationally as it relates to moving and relocation. Both the economic and political systems differ from mainland China as well which affect trade and the accompanying customs duties on imported items. With more than 5,000 shipments, we have a lot of experience handling international cargo to all the major cities. Victoria harbor is known for its deep waters, allowing for roll-on roll-off vessels to transport your vehicles to Hong Kong as an alternative to shipping them via container. International rates depend on A, B and C. Furthermore, these costs will depend on the items as well as which one of our five international shipping locations your goods will be leaving the U.S from. 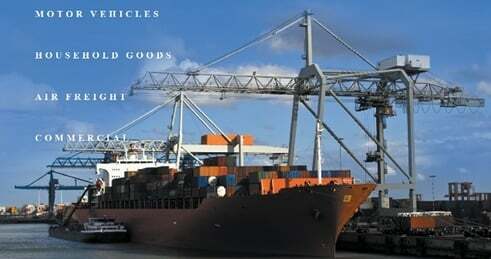 Your costs may include a combination of sea travel and land transport. The routes will also vary depending on whether your shipment is leaving from the east or west coast. These are all pieces of information that our experts will be happy to take down in order to get you the best rate. Another option is to fill out our form online for a free quote and have one of our professionals contact you after looking over your information. It is 7,238.97 miles from Los Angeles to Kowloon. Hong Kong is a city, and island and also an administrative district.